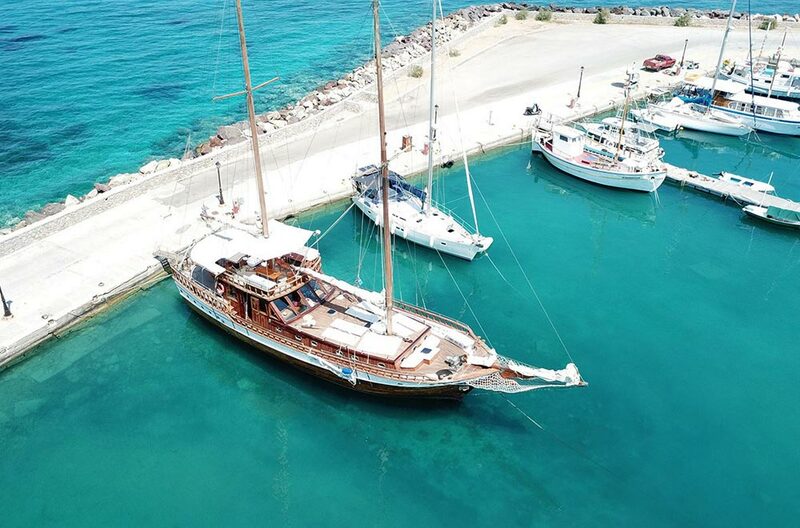 Enjoy a fantastic daily cruise onboard Alexandros, a traditional wooden sailing boat, and visit three picturesque Greek islands at the Saronic Gulf. 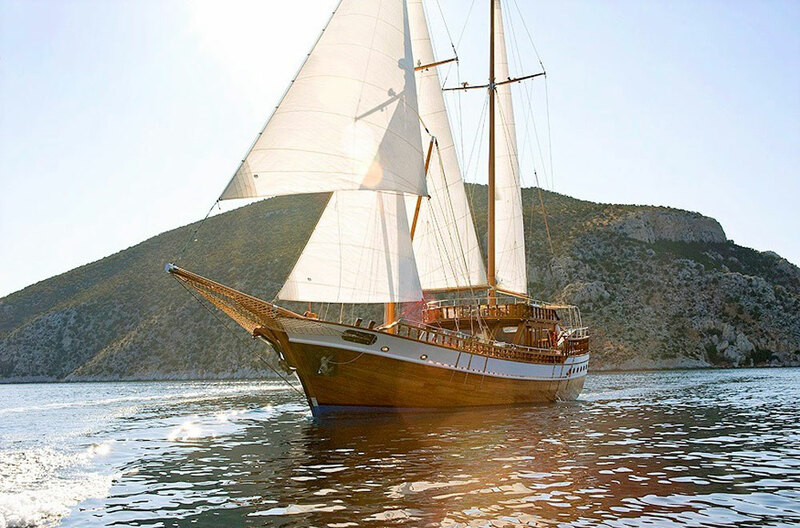 Approximately 6 hours of motor-sailing and up to 4 hours islands stop. 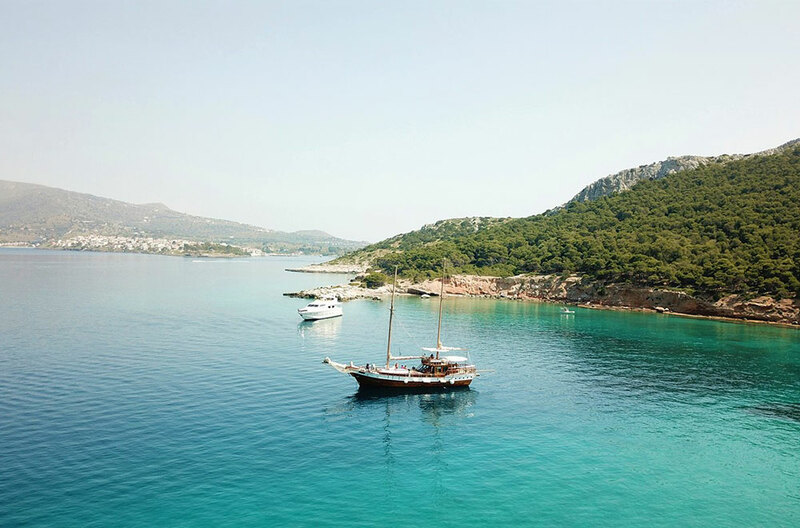 The excursion begins at Marina Zeaswhere guests will meet at 08.45am.The first stop of the cruise is Agistri, a beautiful island with lush nature and blue waters. You can have a swim and relax on the sand. Next stop is the island of Moni. Here you will taste a great variety of delicious Mediterranean traditional Greek mezes accompanied by wine, beers and soft drinks. 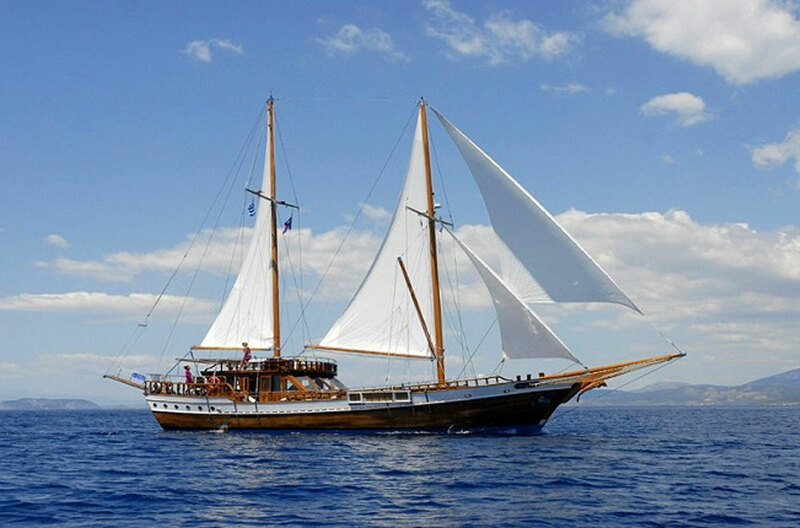 Around 3pm we will cruise to Aegina, an island with brilliant cultural heritage. 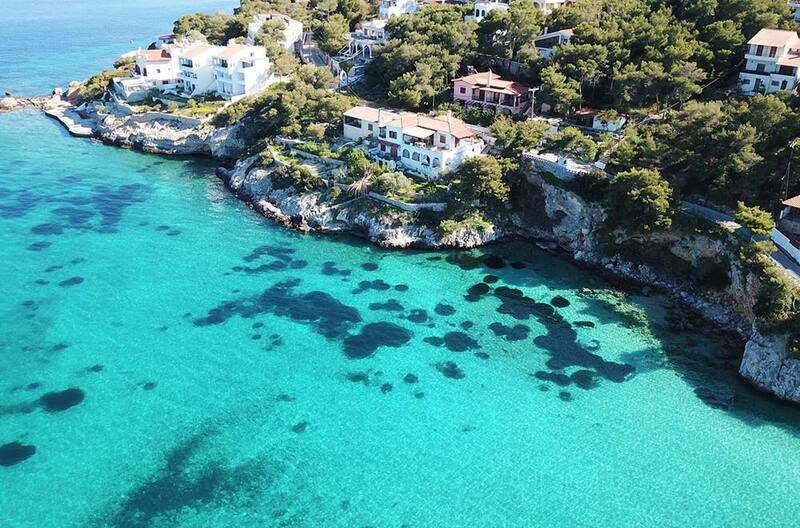 Here you can enjoy the crystal clear waters and sandy beaches. 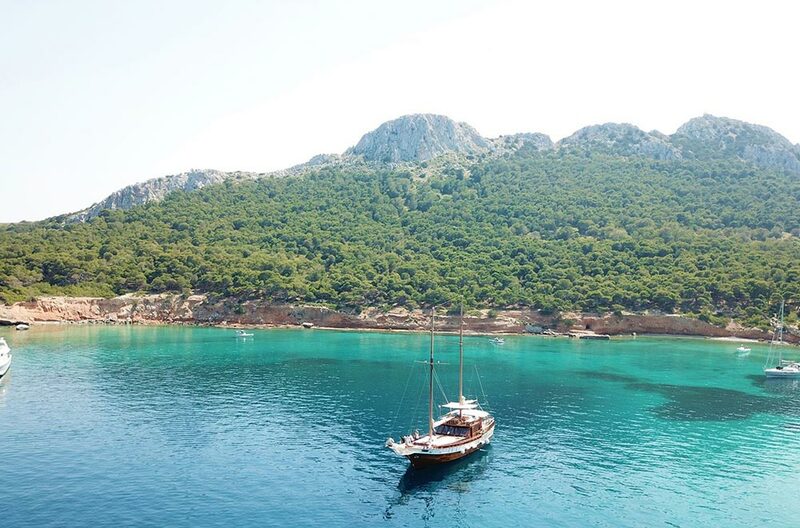 At approximately 5pm we will sail back to Marina Zeas. 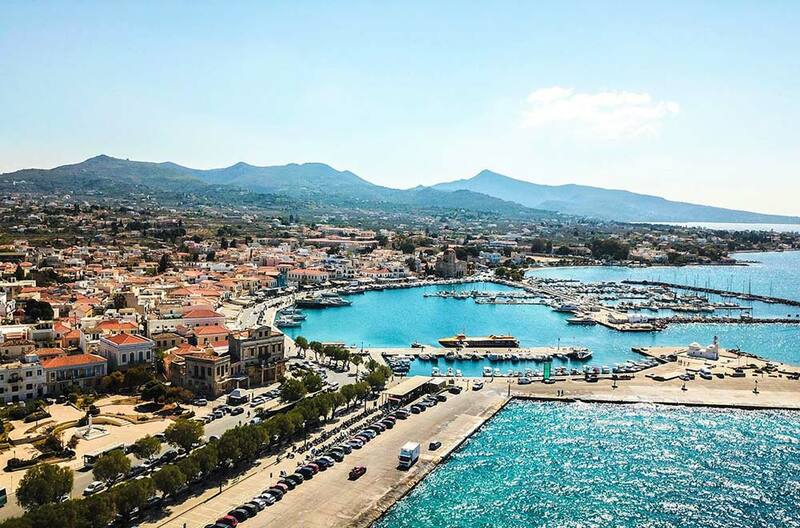 See the historic landmarks of Aegina, Agistri (Dive in Skala’s crystal clear waters, walk alongside the beach between Megalochori and Skala) and Moni.